If you’d like, read on to dive deeper into the differences between the two, as well as some recommendations on what to buy. Just be aware that the conversation will center around inexpensive machines that can accomplish basic tasks. Chromebooks can’t hold a candle to $2,000 gaming PCs, though some cloud gaming services might allow them to eventually. ChromeOS or Windows? The choice is up to you. What’s the difference between a Chromebook and a PC? Though you probably already know what differentiates a Windows PC from a Chromebook, here’s a brief refresher: Windows PCs run Microsoft Windows, the dominant operating system for traditional PCs for more than 25 years. They run Windows applications, from Microsoft titles to a raft of third-party software. Windows PCs are available in desktop and laptop forms, and can be configured in infinite ways to accommodate needs from basic productivity to resource-intensive workstations. In a Chromebook, many of the apps reside below the taskbar. Physically, a Chromebook looks much like a Windows-powered notebook, with a keyboard, display, a front-facing camera for videoconferencing, and so on. But there are a few key differences: Chromebooks typically include a dedicated search keyboard key, while Windows emphasizes the Windows key, and Cortana. With Windows, you’ll have many hardware choices, including a typical clamshell notebook, convertibles with 360-degree hinges; 2-in-1 Windows tablets with detachable keyboards, or pure Windows tablets. Chromebooks generally prefer the clamshell form factor, though we’ve seen some Chromebooks designed as convertibles. Microsoft Cortana is all over Windows, but the Google Assistant hasn’t reached Chromebooks, yet. Inside, the only real differences are the processor. 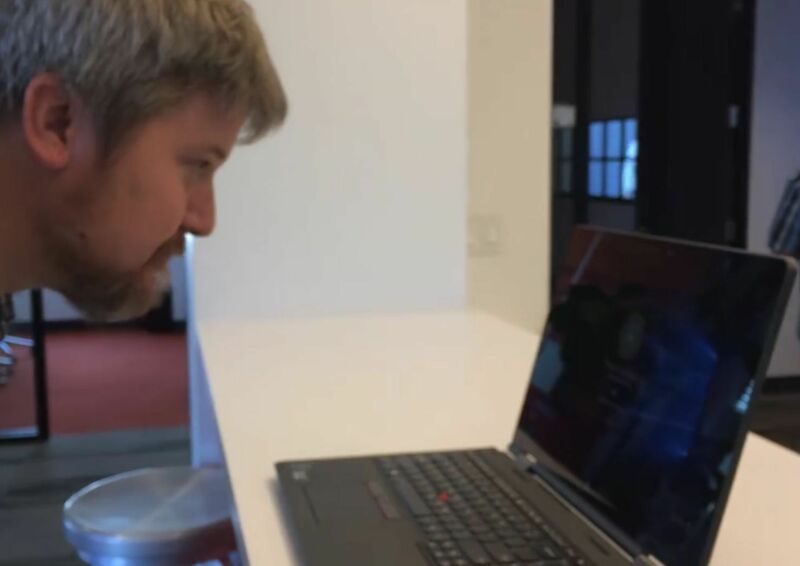 While a small crop of Windows laptops are being powered by Qualcomm Snapdragon processors, Chromebooks generally favor lower-performance Intel Atom chips (branded as Pentium or Celeron) that are suited to the lower demands of Chrome OS. Windows PCs have a wide range of microprocessors powering them. Chromebook and Windows PCs features have a lot of overlap, too. Though you’ll find that many Chromebooks and inexpensive laptops share a similar HD (1366x768) or Full HD (1920x1080) display, Windows usually requires a bit more in terms of memory and storage. Both a Chromebook and a laptop can run acceptably on 4GB of memory, but 8GB is usually preferred where Windows notebooks are concerned. Windows notebooks, too, typically include more local storage for the Windows OS and associated apps: 128GB or 256GB is acceptable, though there’s really no upper limit. Chromebooks, meanwhile, don’t need much more than 16GB or so, even if Android apps are being stored on an SD card. Speaking of storage, it’s less of an issue. Both Chromebooks and Windows tablets allow external storage to be used, though Google would prefer you to store your apps and files in the cloud. A Windows PC typically includes a USB-C or USB-A slot that can connect to an external hard drive. (Some Chromebooks do too, or use an SD card.) You’ll simply find less need for local storage on a Chromebook than on a Windows PC, which helps lower the price and simplifies the experience. 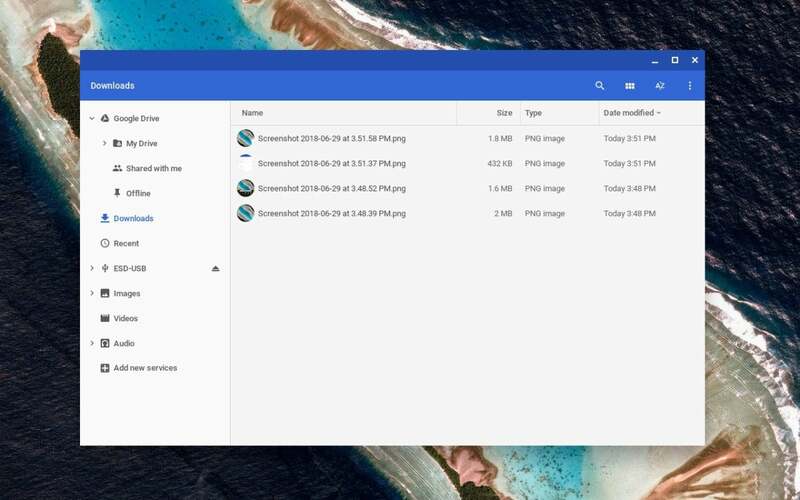 Though the Chrome OS Files app within Chromebooks is a little rougher than Windows, it’s been designed with cloud storage (in Google Drive) from the beginning. Weirdly, while both Google and Microsoft have developed their own digital assistants, the only Chromebook with Google Assistant support is the Google Pixelbook, at least for now. 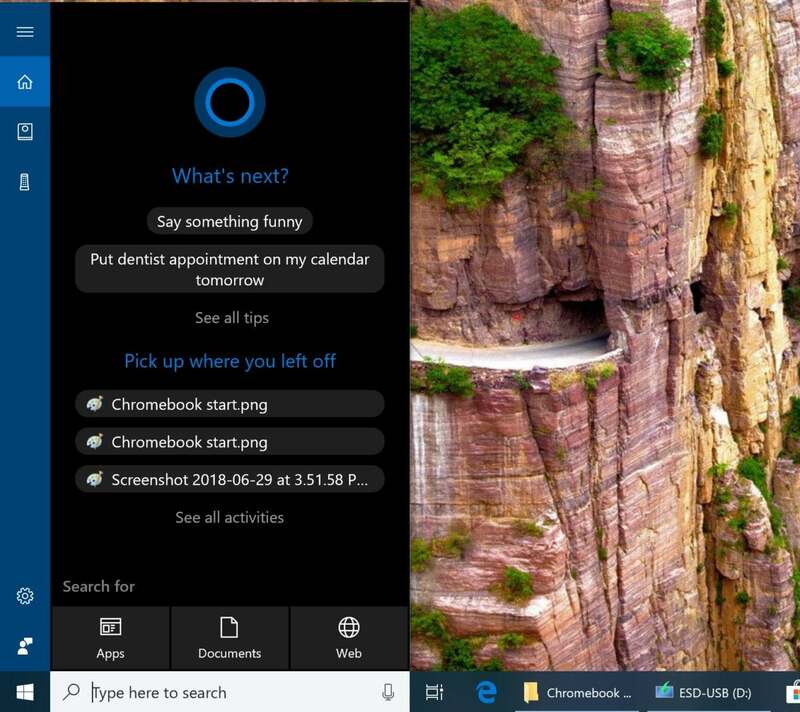 Microsoft Cortana fans will find them on all Windows PCs that include a mic—which is virtually all of them. Is a Chromebook or laptop better for office work? Productivity apps—word processing, spreadsheets, and the like—represent the majority of the working day. Here, both Windows and Chromebook users alike have several choices, the most popular being the Google Apps suite of office apps and Microsoft’s own Office. You might think that Office would be restricted to Windows, but that’s not true either: Office.com, AKA Office Online, runs in a web browser, and—assuming you have a subscription to Office 365—offers nearly all the functionality that the Office 365 suite does. (Microsoft Office apps are also available as Android apps, but it’s simpler to run them within the browser.) 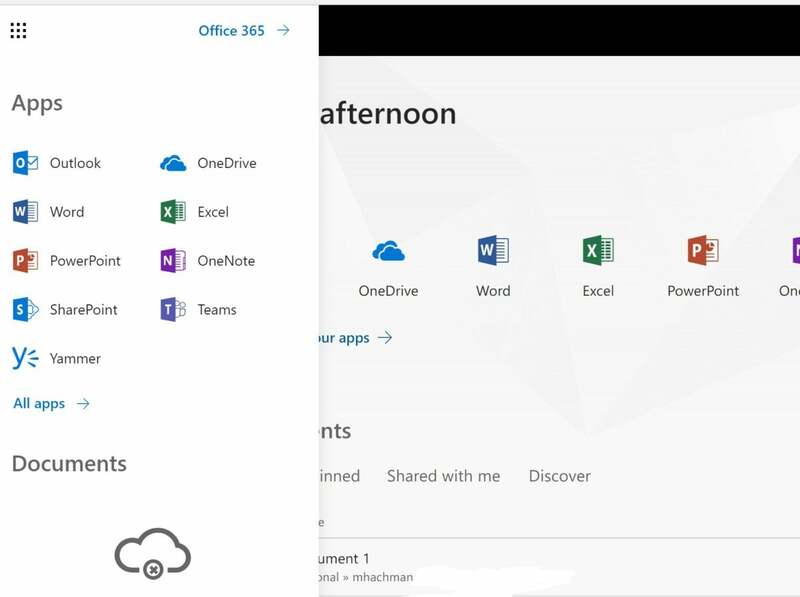 In fact, given that it’s powered by the cloud, you’ll find that new features can arrive on Office Online before they arrive on Office 365. Office is typically used by most enterprises, and if your company administrator allows it, even shared corporate resources may be accessible via a Chromebook. The Google Apps suite also runs online, though it hews to just the essentials, with fewer features than Office. I spent over a year exclusively working on a Chromebox (the nearly defunct desktop version of a Chromebook) and found Google’s simple interface and instantaneous autosaves superior to the Windows version of Office at the time. For our purposes, both Google Docs and Office Online will run on either a plain Chromebook or Windows PC; however, if you need access to a local copy of Office, only a PC will suffice. Office Online (Office.com) is accessible via a browser from either a Chromebook or Windows PC. In either case, though, productivity is possible on either a Chromebook or Windows PC with a minimal amount of effort, though you’ll probably need to pay for a subscription. Which is better for web browsing, a Chromebook or Windows PC? It’s not quite true to say that Chromebooks and a Windows PC are equivalent in web browsing, but this is probably the closest point of intersection. Browsing the Web using Chrome on a ChromeOS device is virtually identical to using Chrome on a PC. 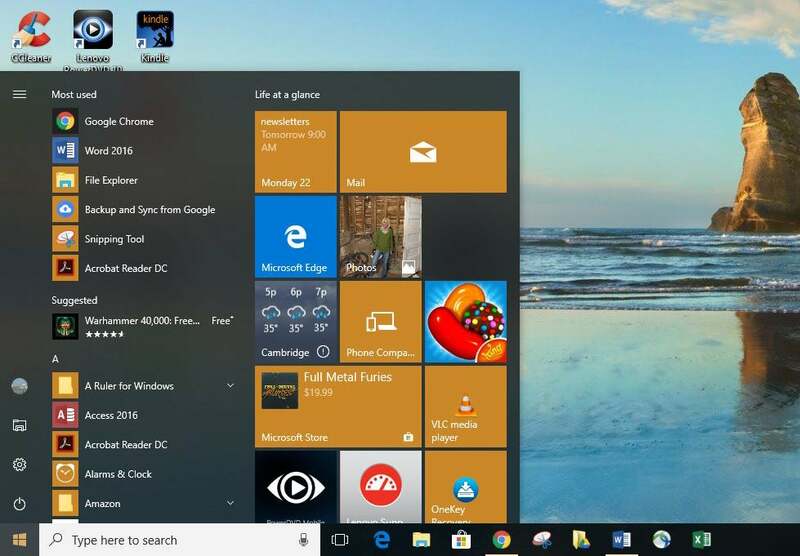 A Windows PC will allow other browser options, however, including Microsoft Edge, Opera, and Firefox. Because of the simplicity of ChromeOS, some complex sites simply feel more responsive within a Chromebook. The bane of my browsing existence has been the ad-riddled SFGate.com, which bogs down even a Surface Book 2 loaded up with ad blockers and the like. On a Chromebook, with the same ad blockers, the site can actually be more responsive. Be aware, though, that the reduced memory footprint of a Chromebook may restrict you to fewer tabs than you would normally use on a PC. Can a Chromebook play games as well as a Windows PC? With the vast history of classic PC games available to Windows machines, the PC is clearly dominant as far as gaming is concerned. But there are still thousands of games that are “exclusive” to Chromebooks, thanks to 2016’s ChromeOS 53, and its ability to run Android apps and games. Dozens, though not all, of Chromebooks have this capability. If you buy a Chromebook that supports Android in tablet mode, then presto! Your Chromebook is now a large tablet. Chances are if you have an Android phone you’re already aware of what games are available on Android—here are some older suggestions. In any case, don’t expect to play the latest Battlefield game on a Chromebook, at least as a native app. Some ”cloud gaming” services such as Parsec allow you to download an Android client, then “subscribe” to a virtual PC that exists in the cloud, upon which you can play ordinary PC games. (A browser-specific version is in the works.) It’s not cheap, as you’ll need to essentially sign up for a computer in the cloud, but it does allow you to play PC games on a Chromebook. 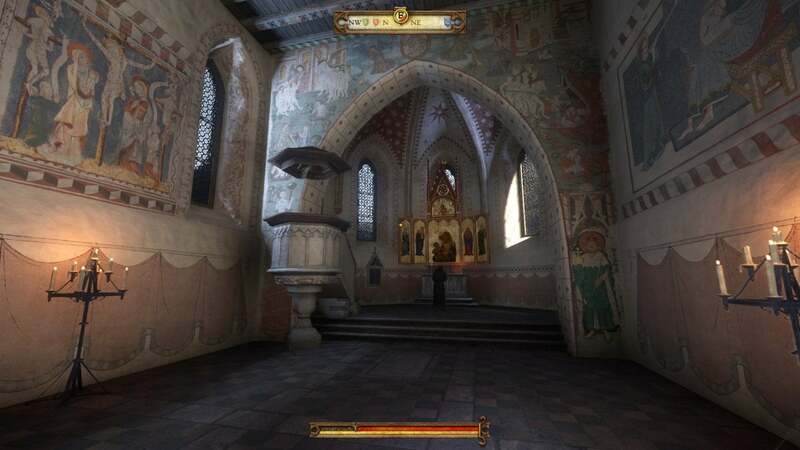 You’ll never reach PC levels of graphics quality, like 2018’s Kingdom Come, without a cloud-gaming assist. Again, however, if you’re trying to decide between a low-cost Windows PC and a Chromebook on the basis of games, don’t. Though the PC is superior, the best low-cost “PC” for gaming is an Xbox One game console. Which offers more apps, Chromebooks or Windows PCs? Games certainly fall into the category of local apps, but so do the numerous apps and utilities that can make everyday tasks a little easier. Here, it’s also a mixed bag. 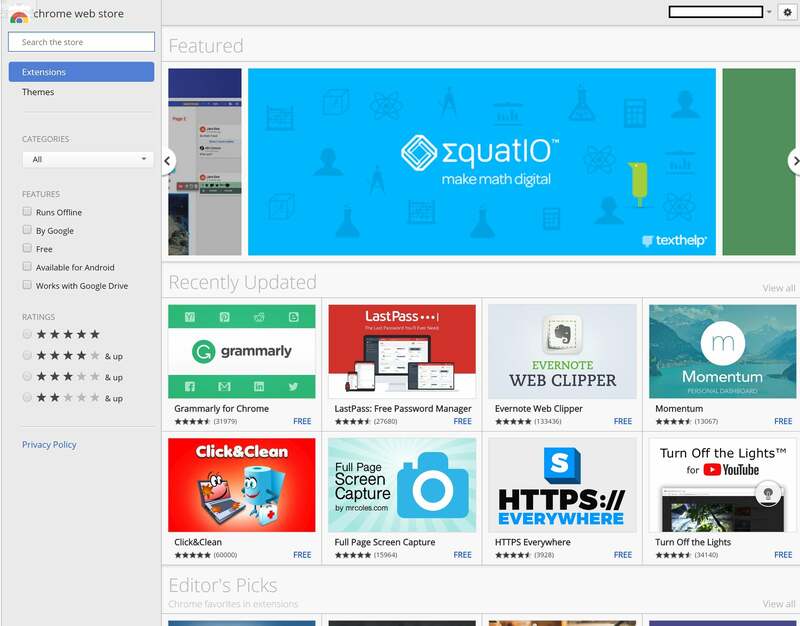 Chrome apps can be found within the Chrome Web Store, where there are both utilities, educational tools, and more. 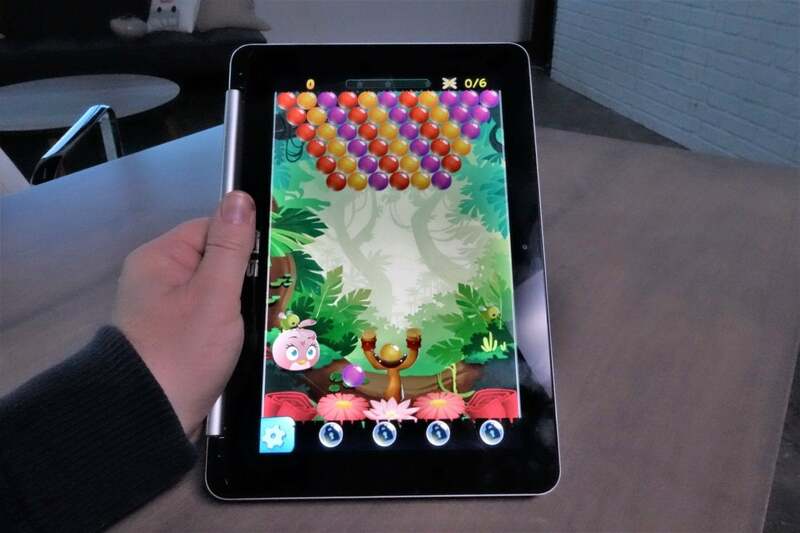 Android apps can include both games as well as mobile productivity apps. At press time, there were about 3.8 million total in the Google Play app store, as opposed to about 670,000 for Windows. That number says nothing about the quality of apps in either store, obviously, but does indicate the level of variety available to each. It also doesn’t mean that every Android app will run on a Chromebook. Chromebooks don’t include GPS chips, so location-specific apps won’t work. Ditto for those who rely on rear cameras that the Chromebook may or may not have—Pokemon Go, for instance. One of the strengths of Windows, though, lies within its historical archive of bits of code, utilities, and other apps that have collected in dusty old hard-drive folders, FTP sites, and elsewhere. Batch resizing apps for images, custom calendar apps, macro managers—everybody has their favorites, and ChromeOS simply can’t compete. On the flip side—and this is important—ChromeOS doesn’t include the type of crapware Windows PCs also sometimes ship with, requiring apps like CCleaner to tidy up. What’s it like using a Chromebook versus a Windows PC? While it’s easy to focus on what you’re going to do with either a Chromebook or a Windows PC—web browsing! games!—it’s easy to lose sight of the little things. One of the best features of a Chromebook that’s easily overlooked is Google’s approach to updates and security. Everything takes place behind the scenes. Windows download some antivirus and other updates in the background, but others require reboots. If you don’t have Windows properly configured, those reboots can even occur while you’re using the PC, which can be hugely annoying. While Chromebooks occasionally need to be rebooted to apply updates, the process is quicker and less intrusive, as Google reloads the pages you were on quite quickly. In fact, “quick” is one of the best features of a Chromebook. While they’re less full-featured than a Windows PC, booting and resuming them just generally feels more efficient than Windows. Part of that is the simplicity: Google takes care of most of the mundane tasks of powering a PC, like security and driver updates. “Blue screens of death” occur on Windows; Chromebooks rarely crash—a fact Google emphasizes in its latest commercial. Still, some of those more mundane tasks can be irritating to Chromebook users, too: such as printing, file management, and utilities: These small, minute-to-minute tasks can be where differences between the two platforms can become abrasive, especially if you’re used to doing things in a certain way. Certain tasks also require a different way of doing things on a Chromebook versus a Windows PC. Sure, there’s the Chrome OS keyboard shortcuts, where taking a screenshot or a portion of one requires knowing to press the CTRL + “switcher” key. When you take that screenshot, you’ll see it saved inside a folder—but you won’t be able to rename that file without opening it. Windows allows you to right-click a file and perform any number of operations on it; ChromeOS does not. 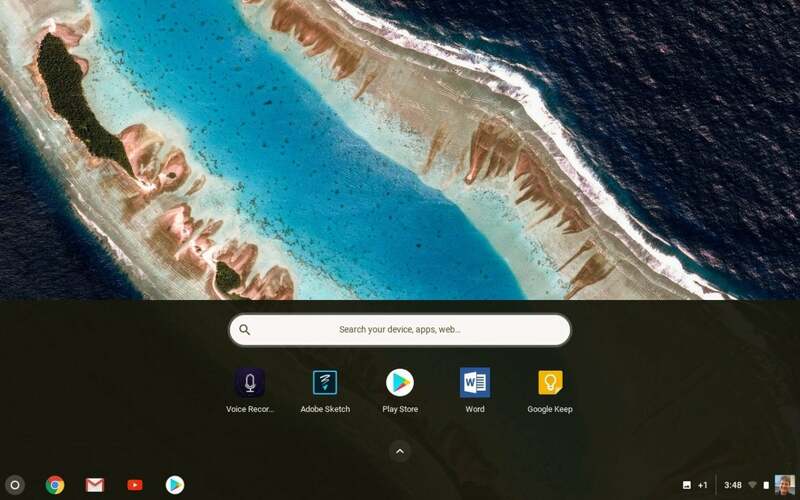 Even accessing those files on ChromeOS requires clicking the “home” circle in the lower left corner, then either swiping or clicking the exposed up arrow to access the ChromeOS apps, some of which can be stored in the taskbar dock for easy access. Staring soulfully at a Windows Hello-enabled PC for a second or two can automatically log you in, a capability Chromebooks don’t provide. The same goes for alternative input modalities. While Chromebooks allow for inking—you’ll generally need to supply your own stylus or use your finger—and can record audio, don’t expect a Chromebook to include speech dictation or pen input that’s translatable into text. These are both capabilities that, for now, Windows exclusively provides. Which is more secure, a Chromebook or a Windows PC? Security isn't a question that can be answered absolutely, but Chromebooks and Windows PCs differ fundamentally here. The relative simplicity of a Chromebook offers a far smaller "attack surface" than a Windows PC does. The complexity of Windows PCs, including the software Windows supports, providers hackers many more opportunities to attack. Google developed Chromebooks with security as a priority, using everything from isolated, "sandboxed" processes to verified boot to help protect your system. (Our sister site, TechAdvisor, has a more detailed explanation.) For people who worry about websites that hijack your browser or download malware, a Chromebook's defenses protect you without making you think about it much. Login security works about the same on both platforms. Logging into a Chromebook requires a Google account and its password. While U2F hardware keys for logging in can be used, a typical home user probably wouldn't. Windows PCs also prefer a Microsoft account and password (though you can log into the PC locally without one). Authentication options include Windows Hello (either via a fingerprint reader or depth camera, or else with a short PIN), which provides a casual level of security that also lets you resume work quickly and easily. It’s a cross between ease of access and security that Microsoft has invested heavily in, and it’s a convenience that most Windows users appreciate. Which Chromebook or laptop should I buy? Of the Chromebooks we’ve reviewed, we’d recommend two: the Asus Chromebook Flip C101PA, a 10-inch tablet for just under $300 with decent performance and a convertible form factor that emphasizes its Android aspect. We’d also suggest you check out the Acer Chromebook Spin 11, another convertible that adds a pen. As far as notebooks are concerned, we have a number of preferred laptops from which to choose. Our best budget convertible, the Asus ZenBook Flip, is a great two-in-one for under $800—decidedly more expensive than the Chromebook offerings, but not so much that it will break the bank. 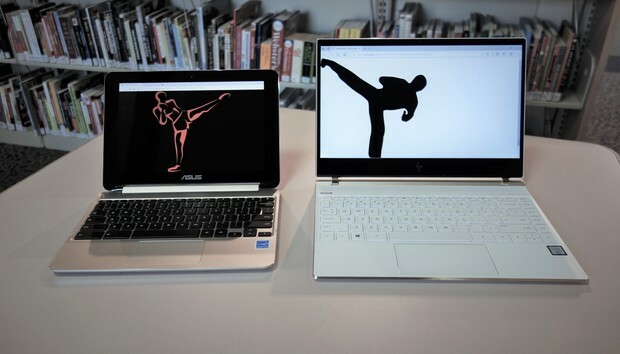 Which is better, a Chromebook or laptop? 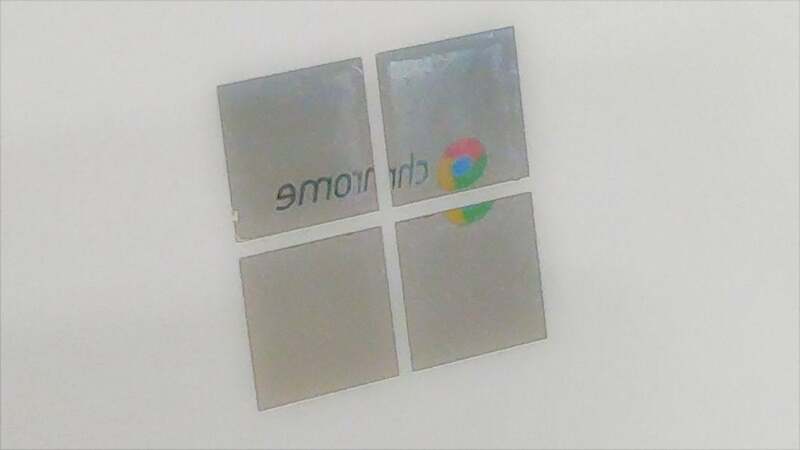 While we can’t say for certain which platform you’ll prefer, here’s one suggestion to try: if you think that a Chromebook could be right for you, take a Windows PC, download the Google Chrome browser, and then work exclusively within it for a day or so. Granted, the Chrome browser within Windows isn’t directly comparable to the Chrome OS experience (especially where file management and printing is concerned) and you’ll need to find online alternatives for apps like Windows’ Photos app within the browser. The keyboard isn’t quite the same, either. If you don’t mind spending a little more for a PC, you can approximate the Chrome OS experience. But you can’t really run Android apps on your PC without a separate app serving as the middleman. It’s fair to say that Windows offers a more comprehensive experience, but ChromeOS is a significantly simpler, cheaper alternative. The buying decision usually works out to something like: “I can do almost everything in Windows with a Chromebook, but...” It’s that last little bit—printing, file management, etc.— that will guide your decision. Good luck! Updated at 12:15 PM to include more context on the simplicity of the Chromebook experience, and more details on the relative security of both platforms.